While the Peregrine sat on the 3rd st. church cross, we ventured into Tompkins Square Park to see if Christo or Dora were around. Lo and behold, we found Christo chilling out in a low tree branch near the Ave. A playground. He must have something up his…wing. We’ll have to wait and see but, as of now, it’s a silent stalemate. 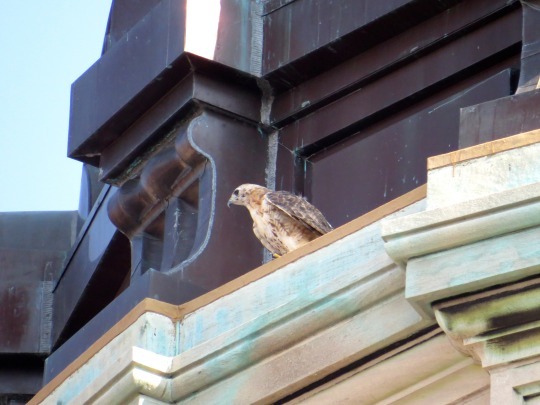 A Peregrine falcon has been hanging out on Christo & Dora’s cross on the 3rd street church for the past couple of days. It has been calling loudly each morning. 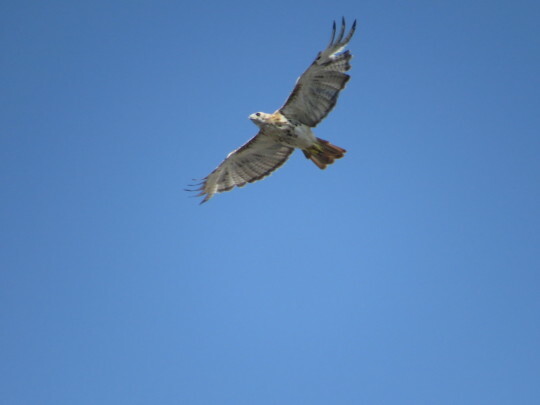 There have been some battles between the hawks and other birds of prey lately. Christo and Dora have their work cut out for them. They surely wouldn’t be pleased with this. 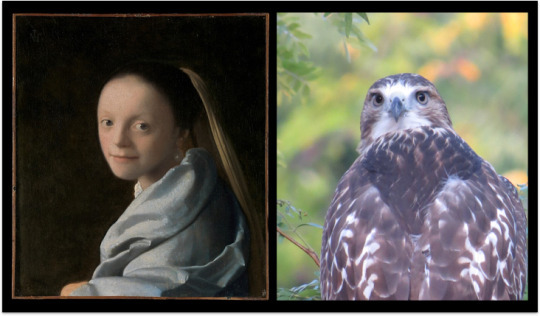 Posted on January 9, 2016 January 9, 2016 Categories other birdsTags east village, peregrine falcon, Red-tailed Hawks1 Comment on Turf war brewing? The only Invader that hawks Christo and Dora will allow in the East Village. Street artist Invader just installed this piece across the street from the nest on Ave. A. Remember to look up if you’re nearby! Here’s more about Invader’s visit to NYC. 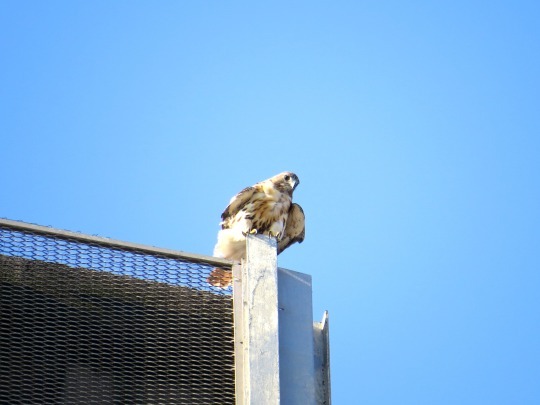 Posted on November 12, 2015 Categories UncategorizedTags east village, les, nyc, Red-tailed Hawks, street art1 Comment on The only Invader that hawks Christo and Dora will allow in the East Village. 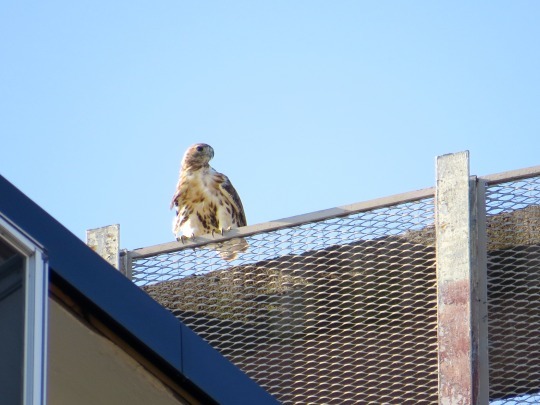 Hawk-tivity in the East Village has come to a near standstill as Gog pointed out earlier this week. 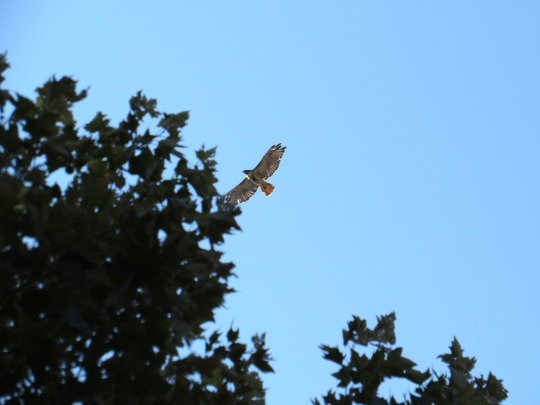 So we ventured back up to Central Park this week to follow up on Pale Male and Octavia’s recently rehabbed and released fledgling (see WINORR releasing the bird, photos by Jean Shum, video by Cathy Weiner). 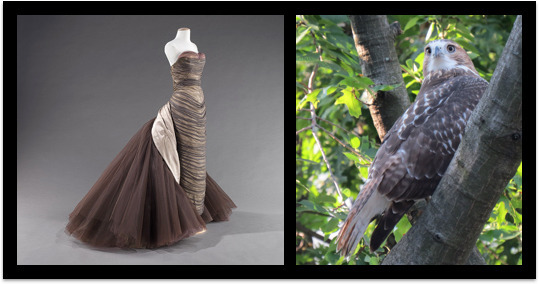 According to hawk watchers in Central Park, the bird has been on a bit of a cultural tour of 5th Avenue this week. 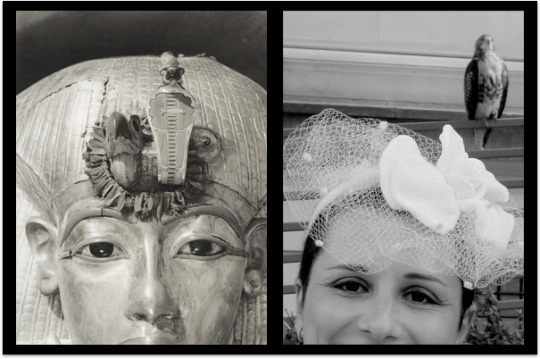 She spent time outside the Metropolitan Museum of Art, waited in line to see the Woman in Gold at the Neue, and even checked out the Kandinsky’s at the Guggenheim. 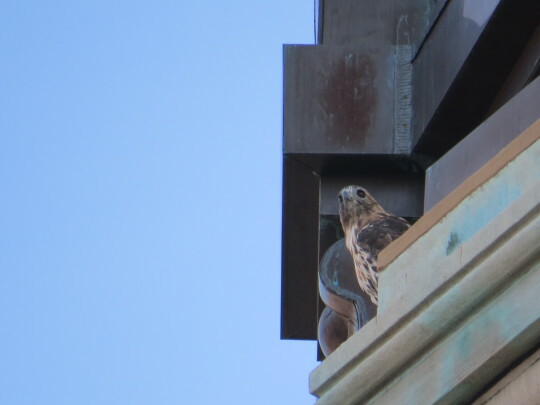 After a couple of days with no sightings, we got word that the hawk was back along the northern edge of the Met at 86th St. and 5th Ave. For hours, the hawk put on a live show for spectators, joggers, and dogs alike. 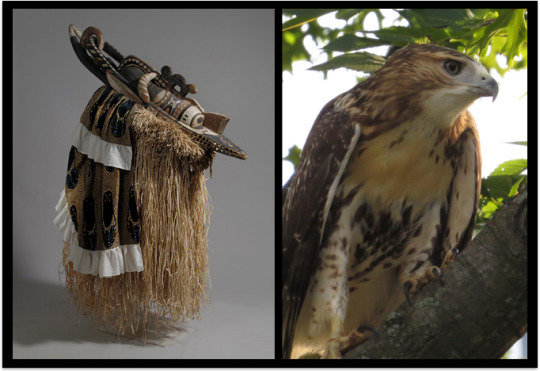 While visitors were dazzled just to see the hawk so closely, it turned out that she was doing a one-time-only, live, interpretive performance of pieces in the Met’s collection. We are proud to bring you the highlights of her show. Congratulations and thank you to the lovely newlyweds! It’s been harder and harder to locate Christo and Dora’s young lately. 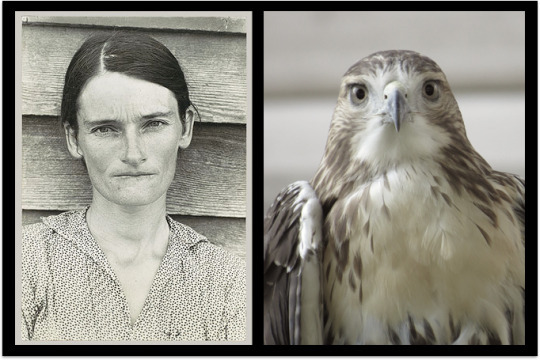 While it’s common at this time of year for young hawks to start exploring on their own, we keep looking for them to see how they’re doing. So, in addition to hitting the streets of the East Village and scanning the area like the NSA going through AT&T’s data, we’ve been keeping an eye on Christo and Dora. 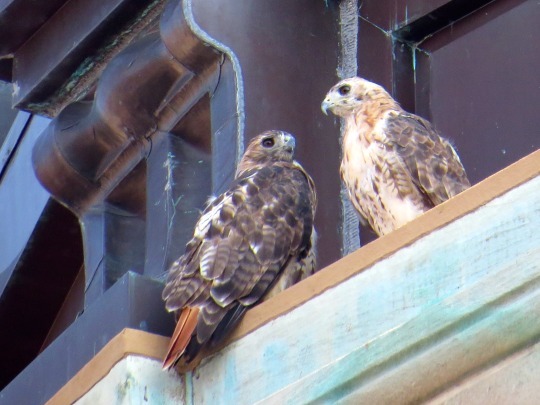 On a recent afternoon, we found them together on the dome of the Most Holy Redeemer Church on 3rd St. They look quite haggard as they are molting but they are still quite active even in the summer heat. 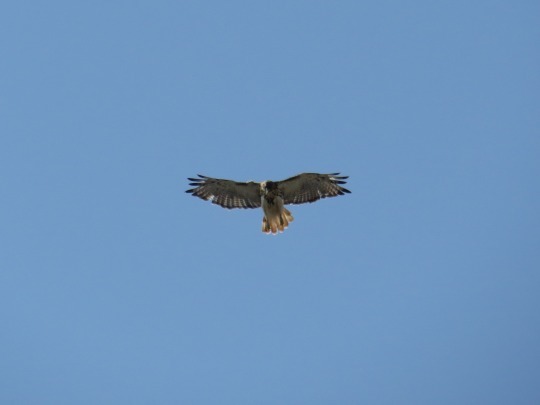 …then Dora took off, swooping East a bit and eventually circling West. 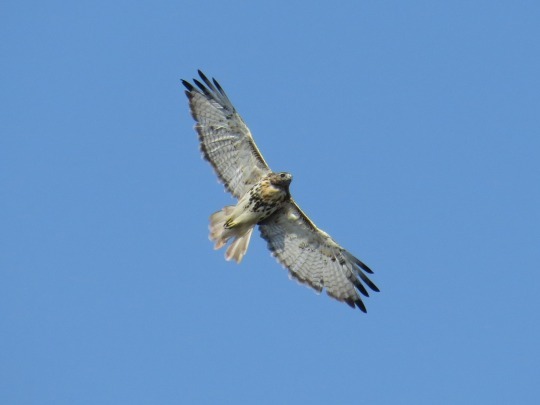 …then took off himself on the same East-then-West path. 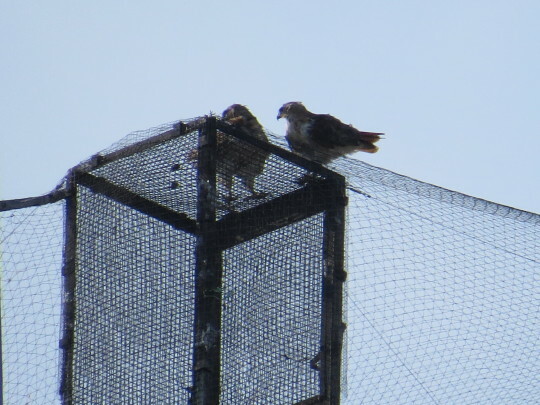 They regrouped on top of the Village View tower where we’ve been seeing at least one of them almost every day lately. 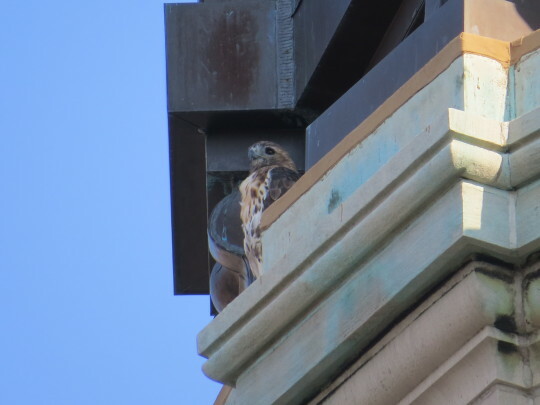 One of them started hovering, looking directly down just in front of the building they were perched on. It’s not clear what it was looking for, we were hoping a baby was nearby. We scanned the entire area to no avail. There was a report a few weeks ago of a baby stuck in the construction netting on the school nearby but it apparently freed itself, thankfully. After a bit, Dora took off and a few minutes later Christo took off uptown. Half an hour later, Dora was back on the Church dome and Christo on Village View. 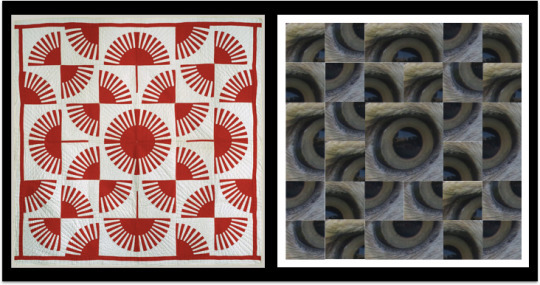 She noticed something and headed off quickly – in the direction of…take a guess! She landed there gracefully, meeting up with Christo again. 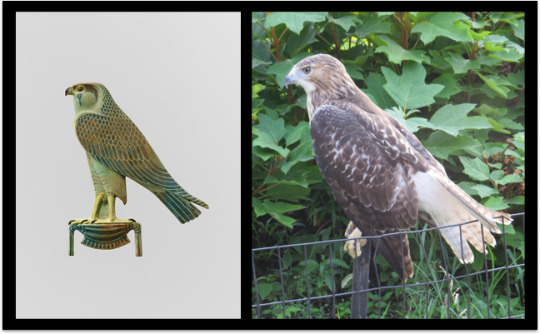 Posted on August 19, 2015 November 10, 2015 Categories UncategorizedTags east village, nyc, red-tailed hawk, Red-tailed Hawks, urban raptors, village viewLeave a comment on Where my babies at?